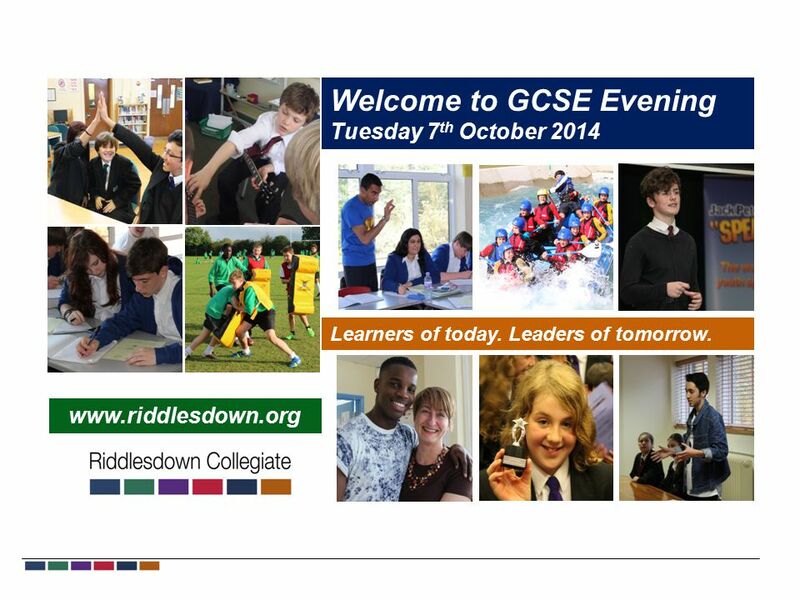 Welcome to GCSE Evening Tuesday 7 th October 2014 Learners of today. Leaders of tomorrow. 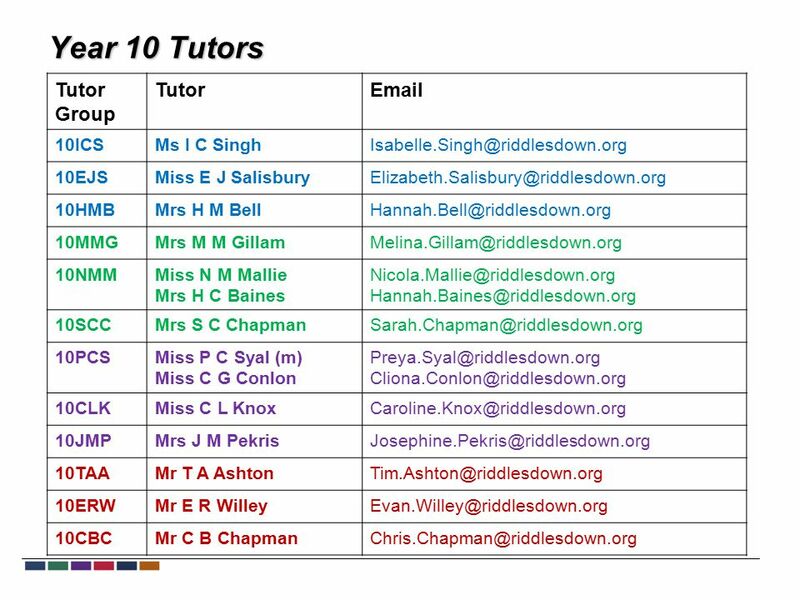 www.riddlesdown.org. 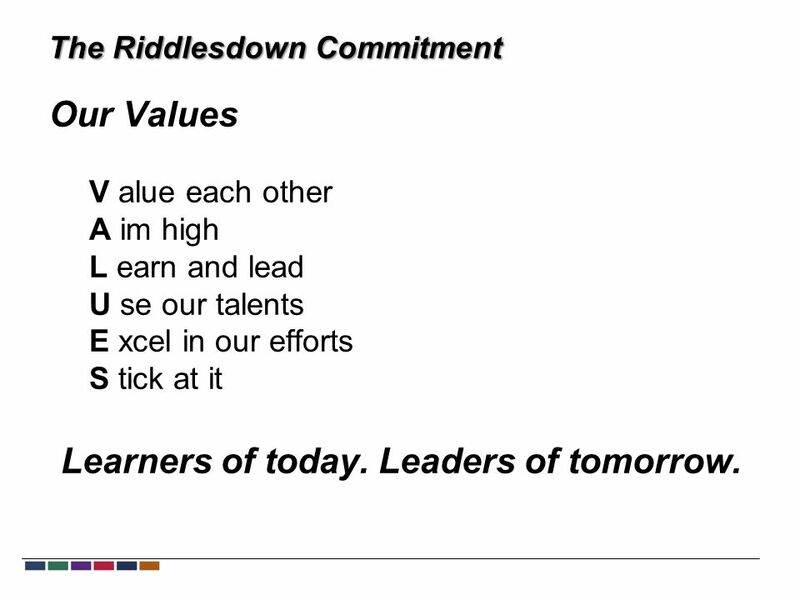 4 The Riddlesdown Commitment Our Values V alue each other A im high L earn and lead U se our talents E xcel in our efforts S tick at it Learners of today. Leaders of tomorrow. 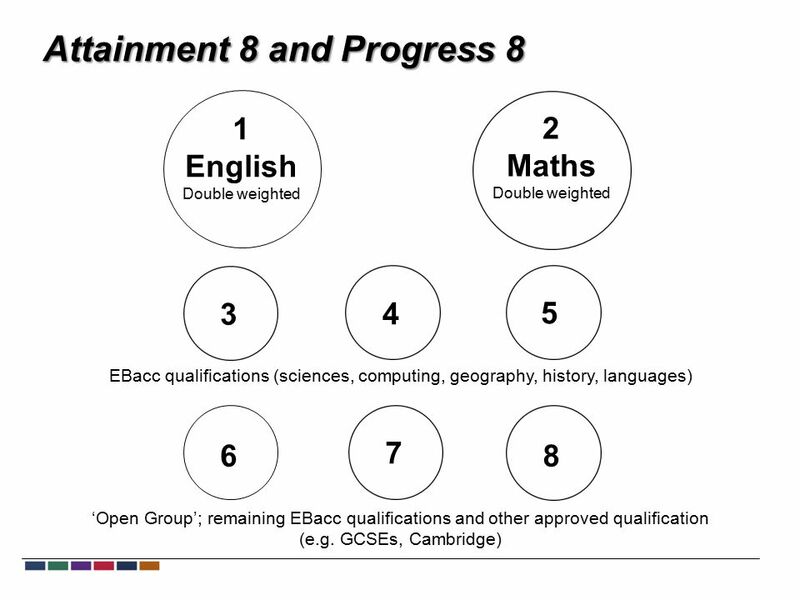 10 Attainment 8 and Progress 8 Number of GCSE grades this student achieved above similar ability peers Average GCSE grade achieved by this student Did this student pass English and Maths? 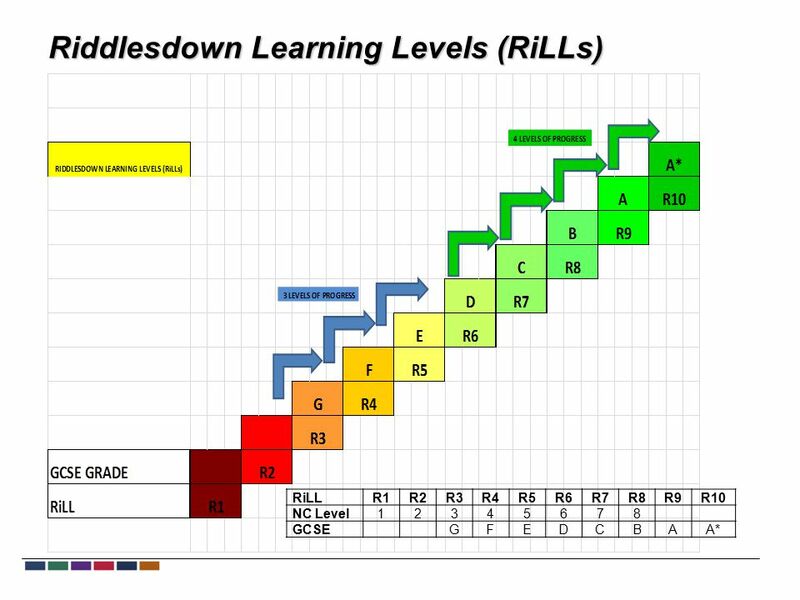 Did this student pass the EBacc? 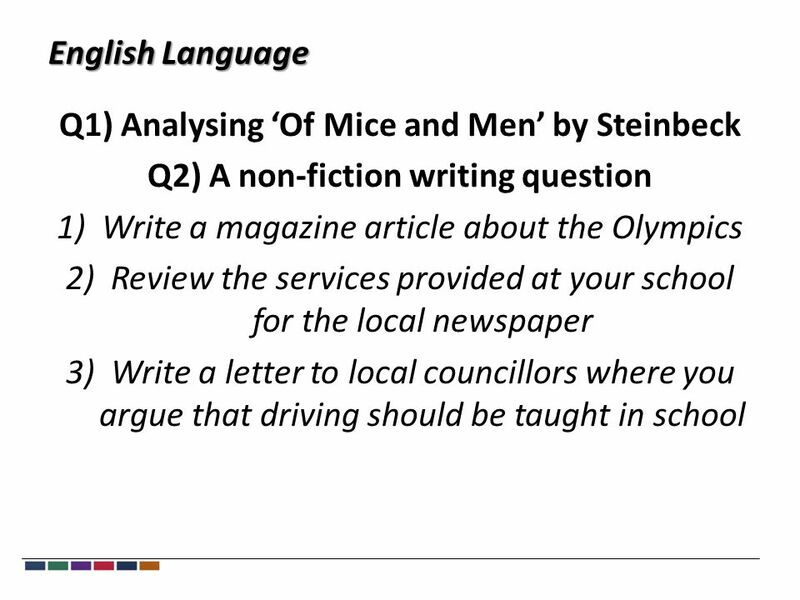 24 English Literature 1)Controlled Assessment: Romeo and Juliet and either Inspector Calls/View from the Bridge. 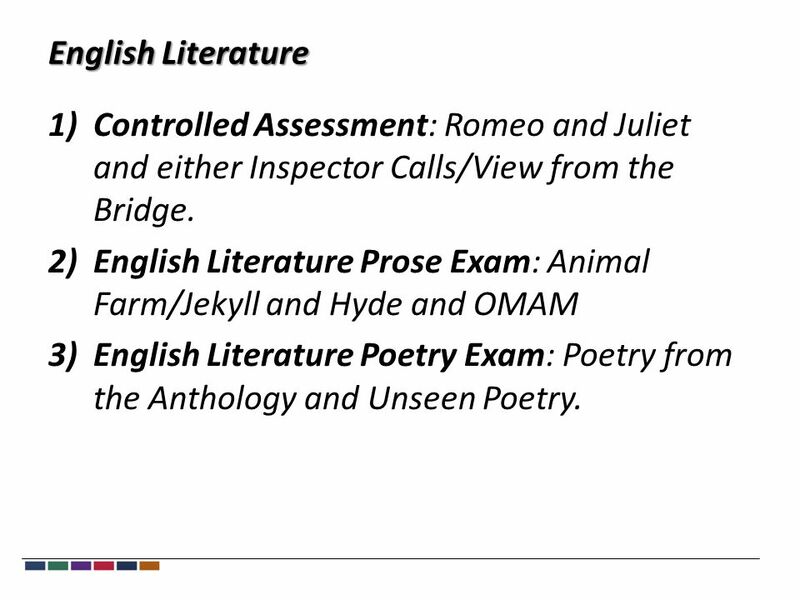 2)English Literature Prose Exam: Animal Farm/Jekyll and Hyde and OMAM 3)English Literature Poetry Exam: Poetry from the Anthology and Unseen Poetry. 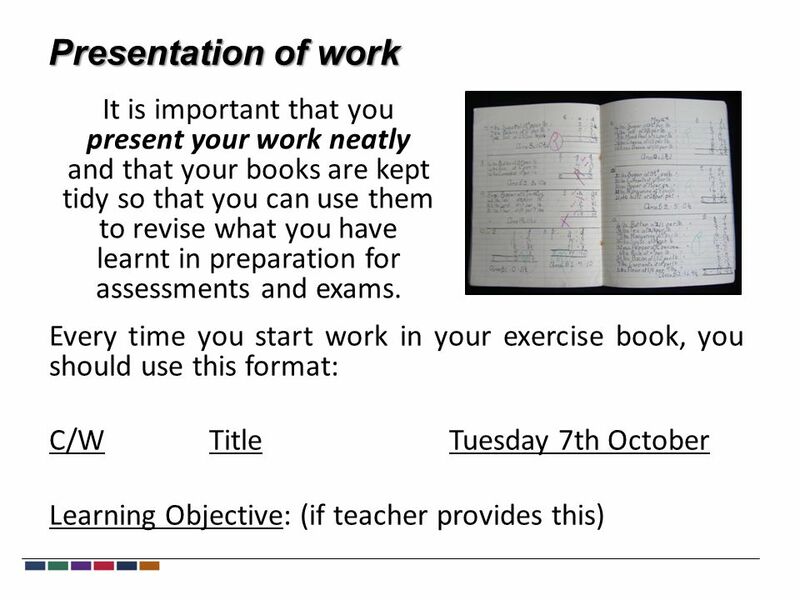 Download ppt "Welcome to GCSE Evening Tuesday 7 th October 2014 Learners of today. Leaders of tomorrow. 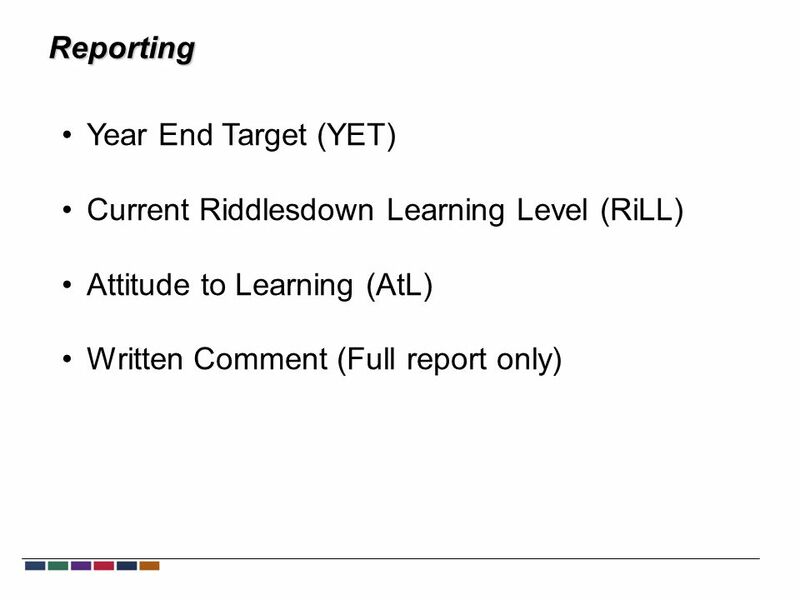 www.riddlesdown.org." 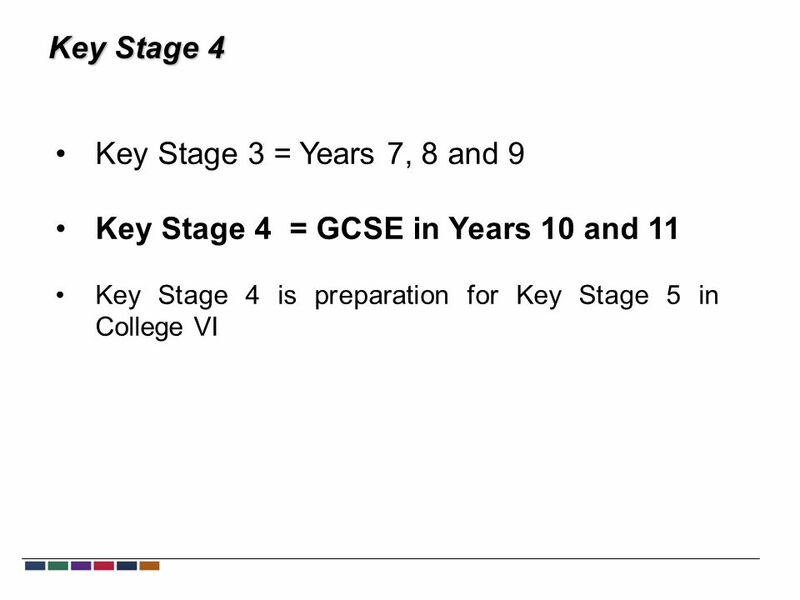 KEY STAGE 4 EXPECTATIONS. 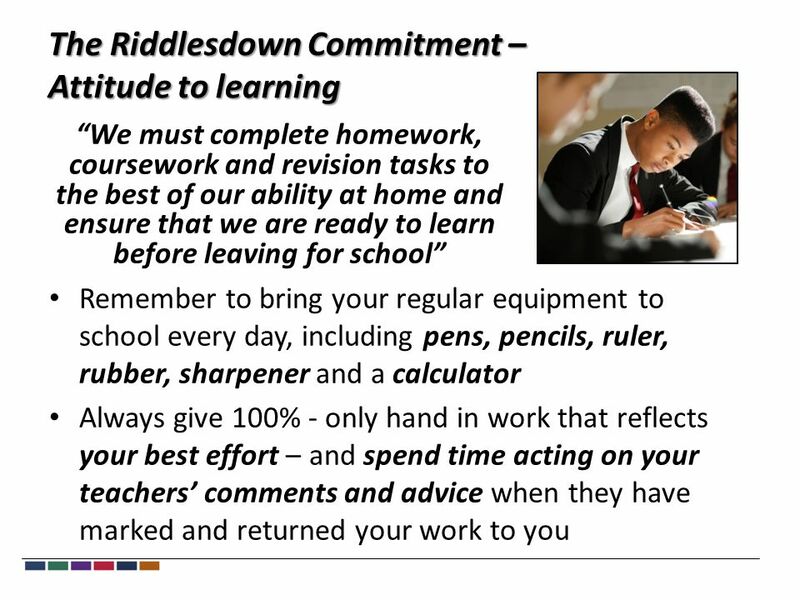 Our vision is to be ‘Outstanding in Every Respect’ through the constant drive for excellence across the school. ‘Together We. Year 11 Achievement Evening Wednesday 24 th September 2014 Results % achieved 5 A*-C (including English and maths) 100% achieved at least one qualification. Year 5 Parent Meeting RM. Welcome Year 10 Parents Information Evening. Introduction Miss A Gill Head of Year 10. 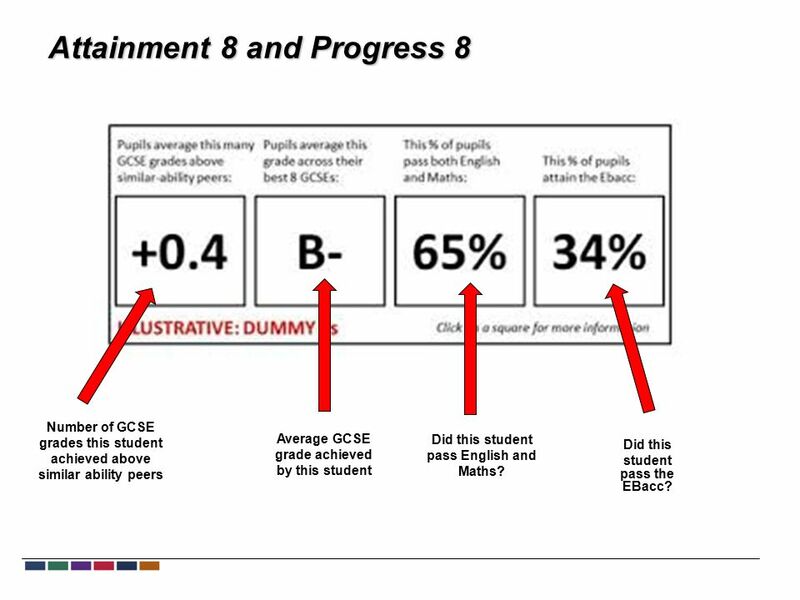 GCSEs A Rough Guide. 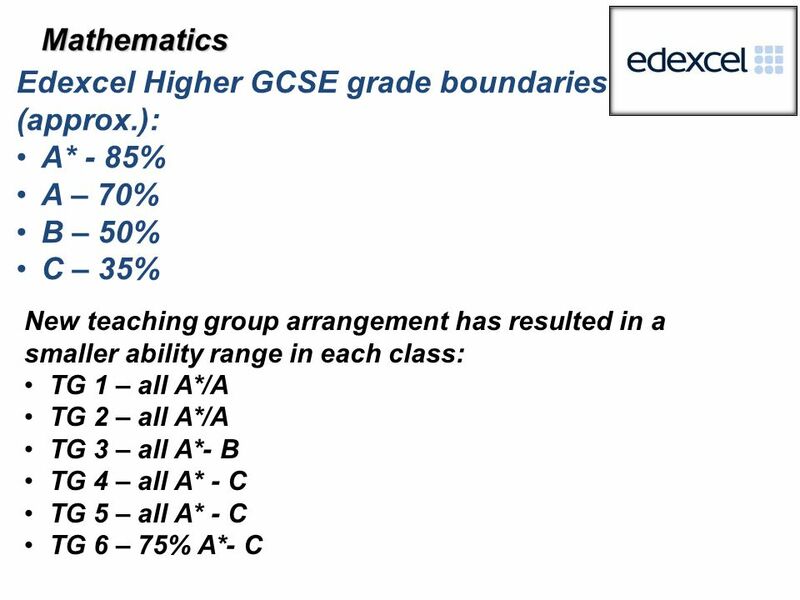 General Certificate of Secondary Education Most students take 9 GCSEs 6 from the Option Columns Maths, English, English Literature. 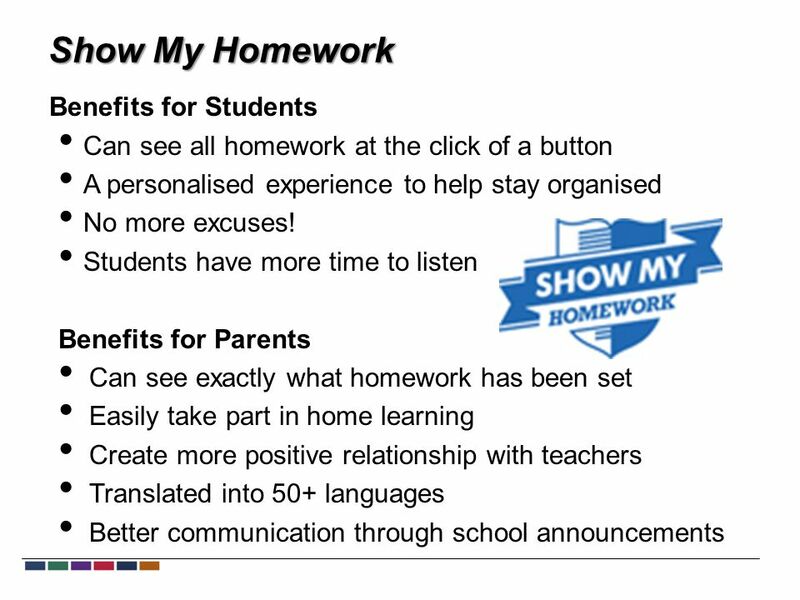 YEAR 10 WELCOME PARENTS EVENING SchoolHome Student. 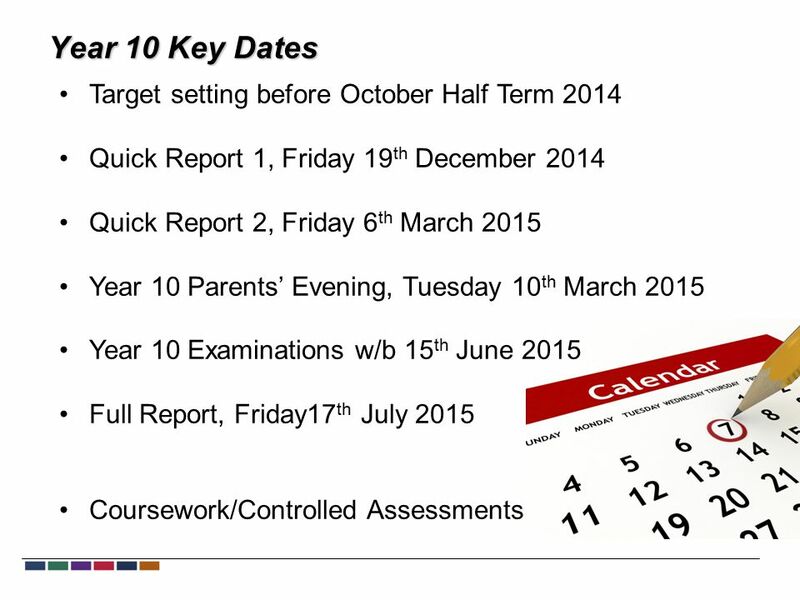 CORE SUBJECT INFORMATION EVENING. What are the qualification details? 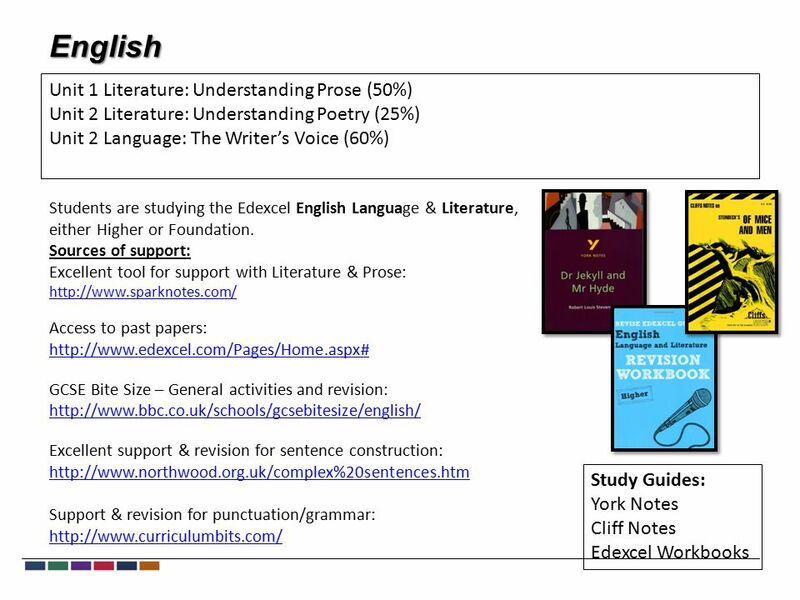 Two AQA Level 2 Certificates (IGCSEs): English Language English Literature. Year 10 Induction Evening Hello and welcome. Raise Your Attendance, - Raise Your Chances! What does “Good attendance” mean? 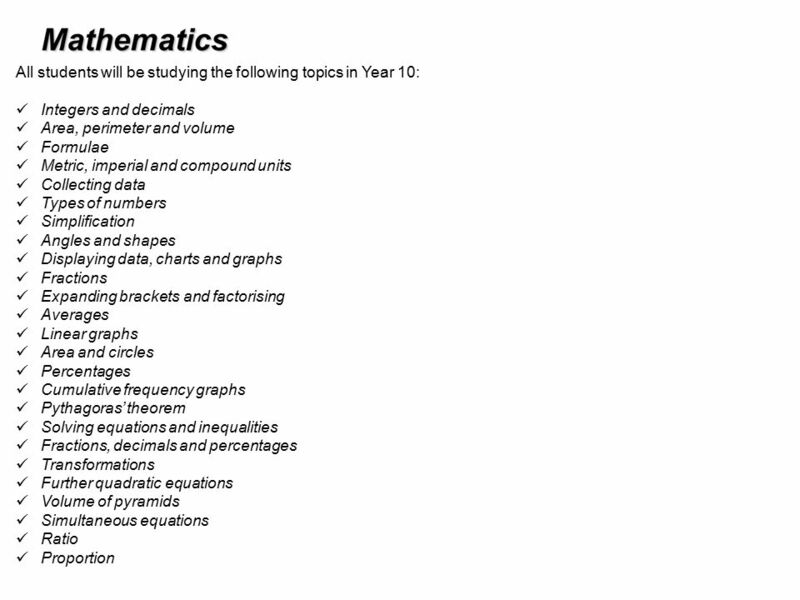 Access to level 3 courses Mr Kidman – level 3 courses Mrs Hutchings – English Miss Smith - Mathematics. 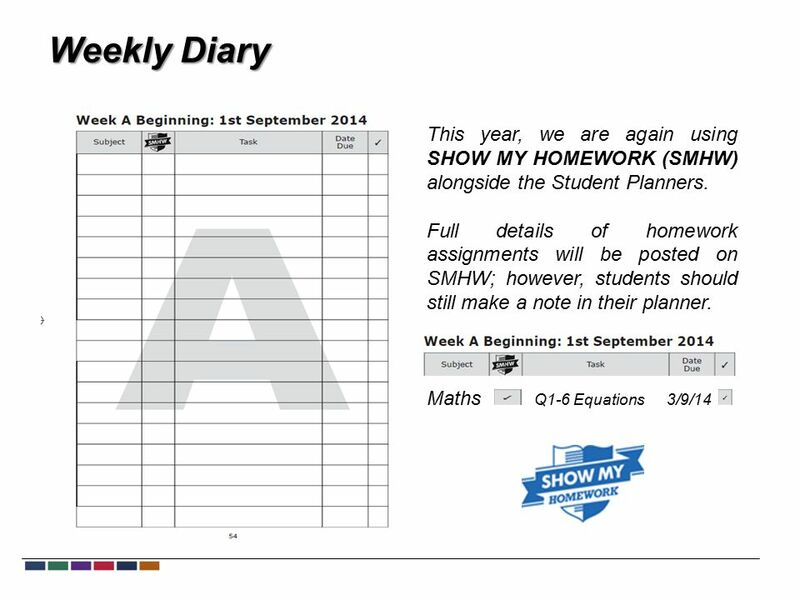 KS4 Mathematics. 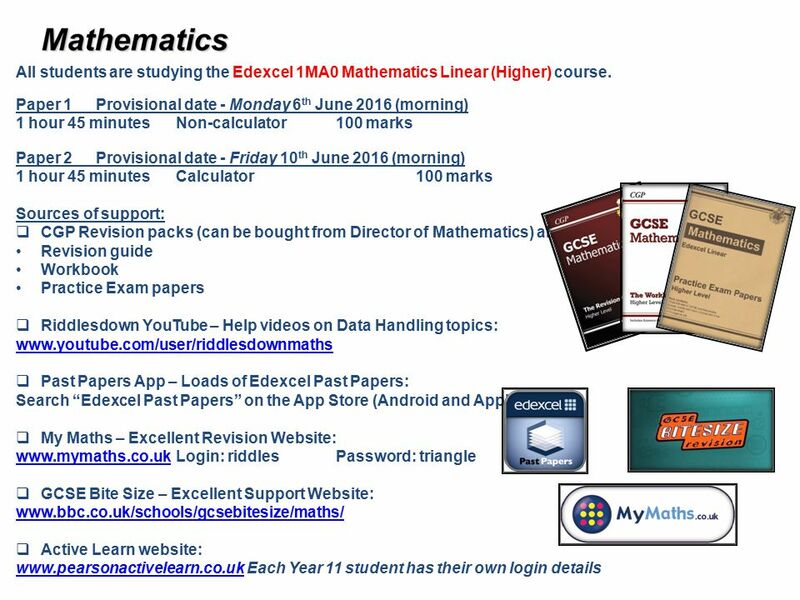 GCSE Mathematics at QE Exam board is AQA 3 modular exams, covering –Number and Algebra –Statistics and Number –Geometry and Algebra. 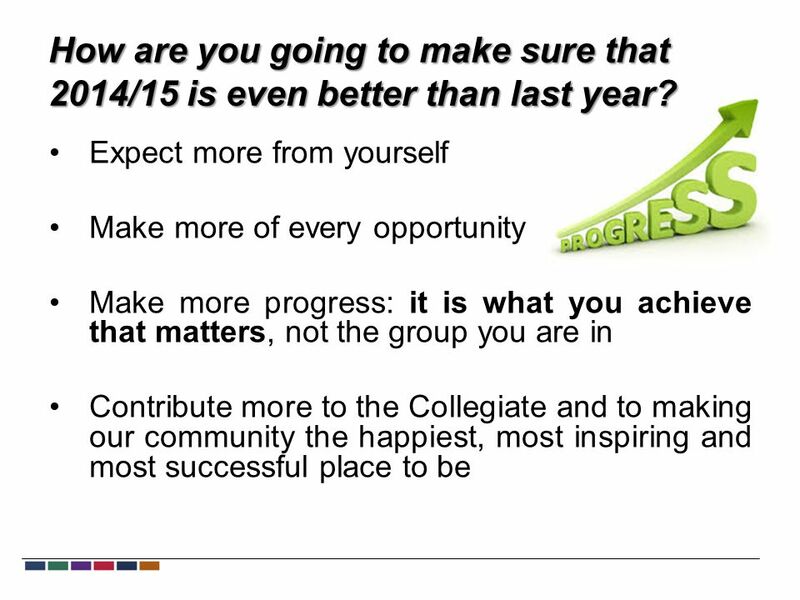 Welcome to our Year 11 target setting evening January 2013. 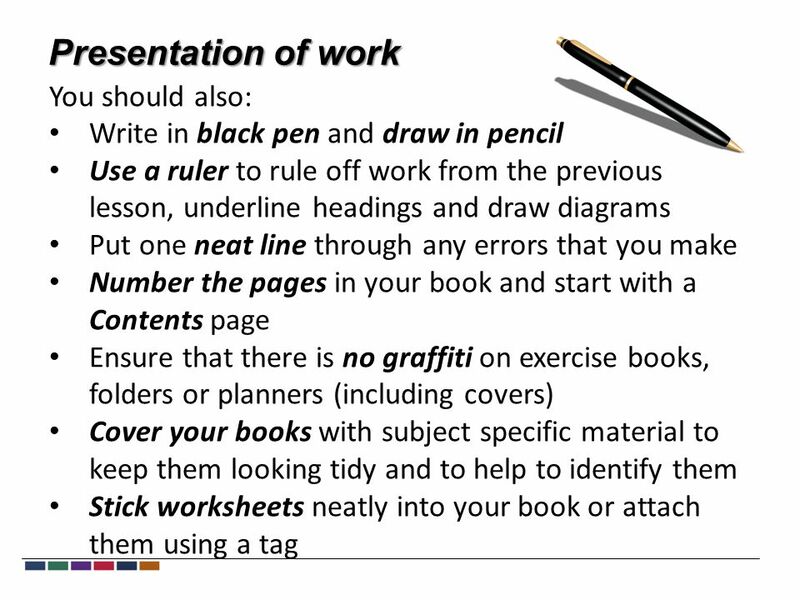 Year 11 Tuesday March 3 rd To give information about exams, revision sessions and final practical exams. 2. To give some advice about revision. 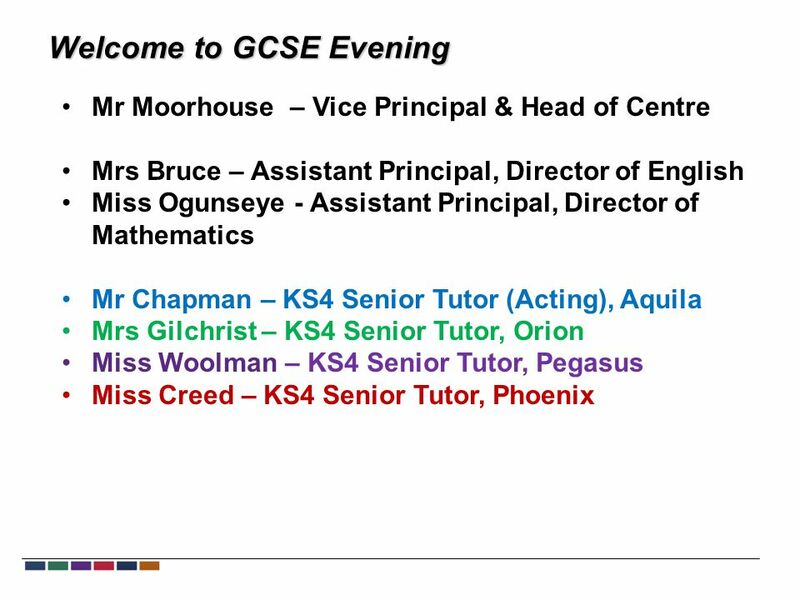 Aspire Achieve Excel 1 Welcome to Core Parents evening 2014. Year 11 Early Entry Evening 4pm 4 th October 2011. 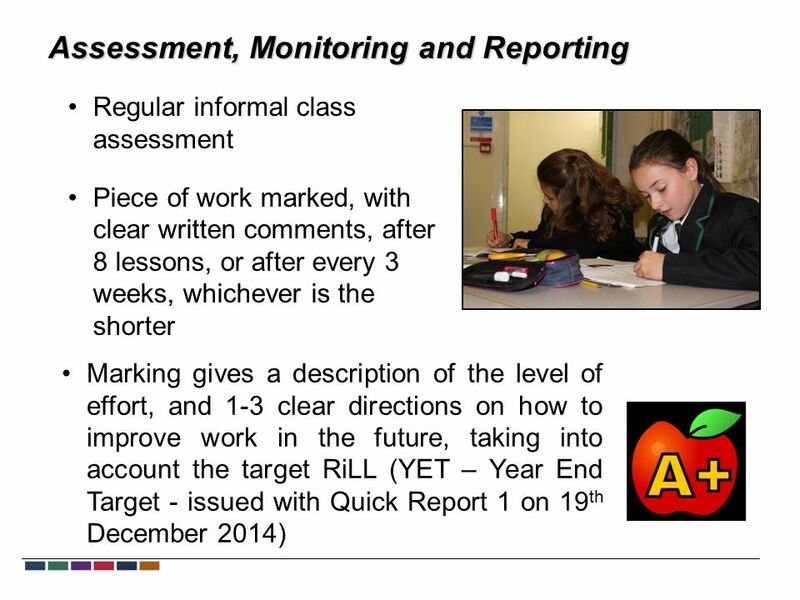 SATS Presentation Miss K Johnson February Aims Understand what our children will be tested on and the format of the tests The role of Teacher Assessment. 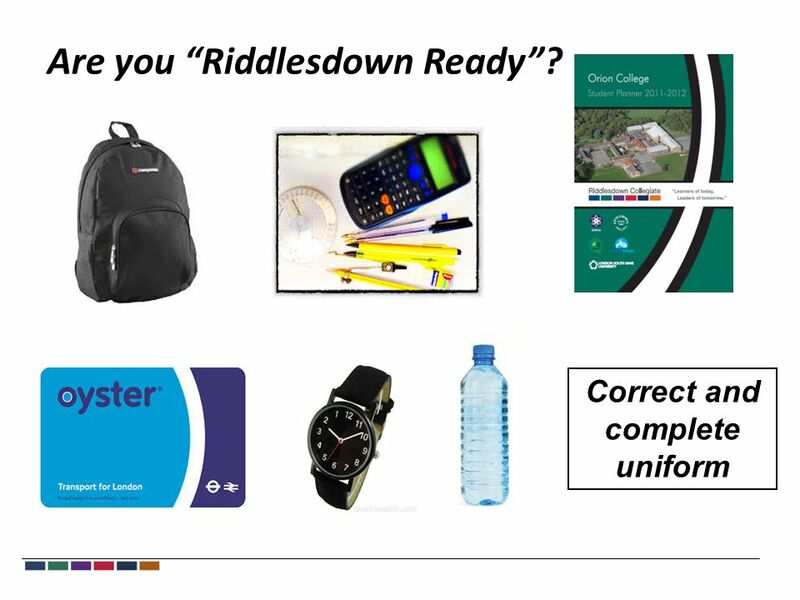 Year 11 Welcome Parents Evening SchoolHome Student. 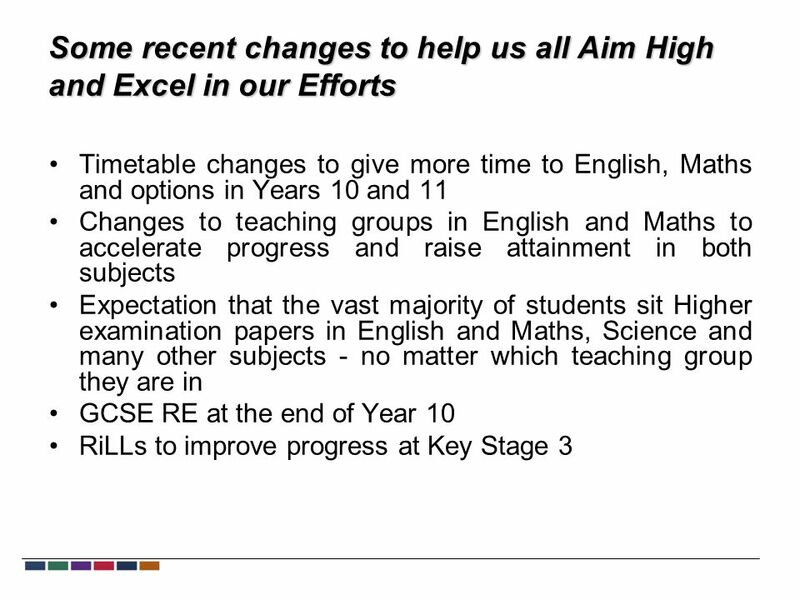 Rates of Progress, Progress day and data Starter questions – 1.In 2016 the 5 GCSE A*-C measure will no longer be used – what will replace it- can you name.